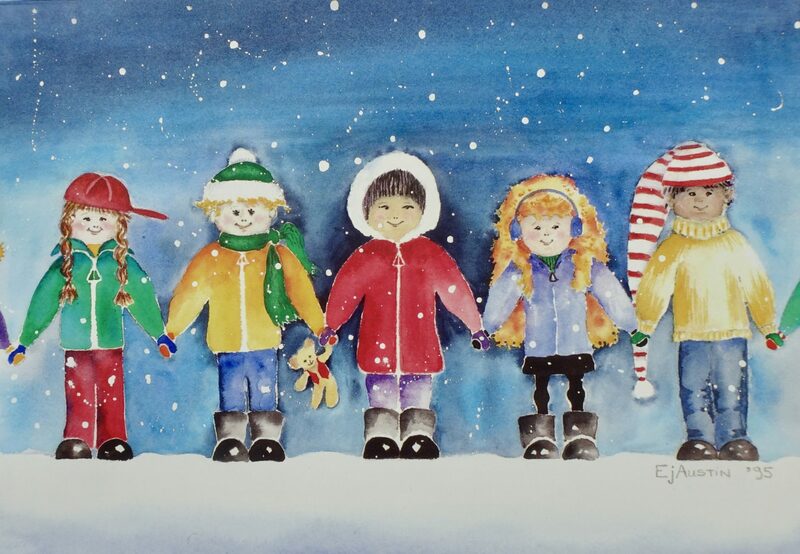 This is the very first piece of art that I submitted to BC Children’s Hospital in 1995 and I was fortunate to be selected for their Holiday Card Program. Children of mutli-nationalities bundled up and holding hands on a winter day. As a visual artist I am always on the lookout for the light or the moment that inspires my next piece. Virtually anything could move me to capture a particular moment, for example, the way the light hits an object, the temperature of the air or a feeling in a particular location. I have always had a passion to create and my goal is to keep painting until it is time to leave. I continue to grow, improve and savour my art as passion drives me forever forward with my work. © 2019 Eaustin.ca All Rights Reserved.